Planning a remodel for your home can be fun and rewarding. The possibilities are limitless. Imagine a newly remodeled kitchen, an extravagant bathroom and beautiful new windows. Whether you want a complete remodel or remodel of a certain room, our professional Tacoma contractors can help your vision come to life. -Kitchen remodeling- It doesn’t matter if you want to upgrade your outdated kitchen, or create more space. 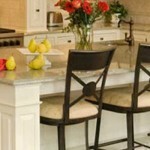 You can rest assured that our skilled Tacoma contractors can design a unique kitchen tailored to your specific needs. -Room additions- Expecting a new bundle of joy? Or do you want to create the perfect guest room for family and friends? And, let’s not forget about the man cave for him. No matter your reasons, you can rest assured that our Tacoma remodeling contractors can help you create the perfect room addition for your unique needs. -Home remodeling- Whether you need a kitchen remodel, bathroom remodel, or you need a complete remodel of your entire home, our Tacoma contractors can help. You can rest assured that our skilled and experienced Tacoma contractors can create a beautiful and spacious home that matches your needs and budget. 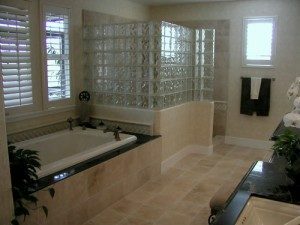 -Bathroom remodeling- Whether you want to upgrade your bathroom, or add an additional guest bathroom, you can feel confident knowing that our Tacoma contractors have decades of experience transforming dull and ordinary bathrooms into luxury and extraordinary private sanctuaries throughout Tacoma. 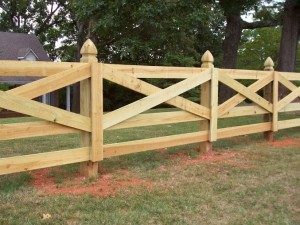 Fences/Arbors -Whether you want to create a classic Martha Vineyards look, or you need to put up a protective gate to keep trespassers away, our Tacoma contractors can help. We have years of experience building a wide variety of fences that are designed to fit our clients personalities. Discover the many benefits of hiring our Tacoma remodeling contractors to help you with your home! When you decide to work with our Tacoma remodeling contractors you don’t have to worry about a Tacoma contractor from different companies handling different aspects of your project. Our Tacoma remodeling contractors take a hands on approach and work on your project from start to finish. Why choose our Tacoma Remodeling contractors to remodel your home? An experienced Tacoma contractor from our team will help you bring your vision to life. From your suggestions, to the drawing board, you can rest assured that you will be part of the planning and design process every step of the way. After all, it’s your home. One of the main concerns we often hear from homeowners is the cost of a Tacoma home remodel. Depending on the size of your home, the remodeling costs can be minimal to costly. However, there are a wide variety of options to help you get the home remodel of your dreams. You can rest assured that when you choose our staff of professionals we can match your budget and provide you with design options that can help you get the most for your dollar. There are many Tacoma remodeling contractors that you can choose from, but many of them don’t understand the detail and construction or what it takes to redesign and remodel a home. Our Tacoma contractors have over 20 years experience and can deliver quality work at affordable rates. We are professional, bonded, and reputable. If you want to hire an honest, affordable and reputable Tacoma contractor, give us a call today. Call us now to request a free estimate and find out more about how we can help you with your Tacoma home remodel. Many Washington State residents are very selective when it comes to choosing a Tacoma contractor. We heard far too many horror stories about how contractors didn’t complete the job, or there was so much damage that it ended it up costing more than the remodel. At Gentry Custom Remodel, it breaks our hearts when we hear stories like this. That’s why we work extra hard at what we do. We show you that we truly care about you, and your home, we treat your home as if it was our own, and we treat you like family. Your Tacoma home remodel should be a dream; not a nightmare! By investing in a Tacoma remodeling contractor, you will be able to increase the re-sell value of your home, cut back on energy costs, and create a comfortable living space for you and your entire family to enjoy. Call now to get a free estimate! Call now to learn more about how our Tacoma remodeling contractors can help you create a memorable living space.